JLL, a Fortune 500 company, is a leading professional services firm that specializes in commercial real estate. We have nearly 300 corporate offices, operations in over 80 countries and a global workforce of over 80,000. We operate locally, regionally and globally – and it’s up to you which scale fits your professional plans best. With us, you’ll be able to participate in innovative projects and leave a lasting impact with your work. 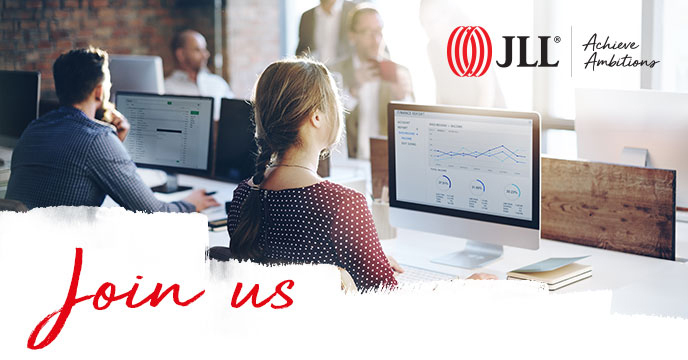 Achieve your ambitions while contributing to JLL success. We are waiting for you! This role is intended to serve as procurement administrator for EMEA SCMP Procurement team supporting the PeopleSoft system and being a facilitator for suppliers and purchase orders. The candidate will be expected to work with other process SMEs in Supply Chain, Finance, Accounting and Operations in order to achieve a smooth end to end payment process. Please note we will contact selected candidates only. Please include the following clause in your application: „Wyrażam zgodę na przetwarzanie moich danych osobowych zawartych w mojej ofercie pracy dla potrzeb niezbędnych do realizacji aktualnego oraz przyszłych procesów rekrutacji (zgodnie z Ustawą z dnia 29.08.1997 roku o Ochronie Danych Osobowych; tekst jednolity: Dz. U. z 2002r. Nr 101, poz. 926 ze zm. ).